John Hughes bought the property his multi-million dollar business still sits on some 50 years ago, but it nearly sent him broke before he even started. Delays in building and getting the business established meant that payments were required on the property before he had sold a single car. 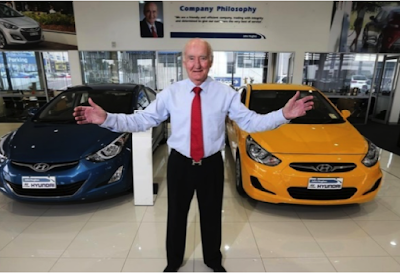 However, John pushed through these initial challenges and now sells more than 12,000 cars in a year, and employs hundreds of Western Australians in the process, making him one of Australia’s most successful car dealerships. Did I say John goes to work every day and is in his early 80's! !